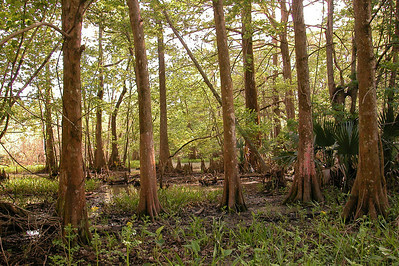 The cypress swamp pictured here borders Avery Island. Over 2 million cypress seedlings have been planted over the last 40 years as part of Avery Island's Cypress Swamp Restoration Project, with about 20,000 seedlings planted annually in recent years. The Louisiana wetlands, like this marsh that borders Avery Island, are important because they provide a habitat for migratory birds and other wildilfe, including many endangered species. 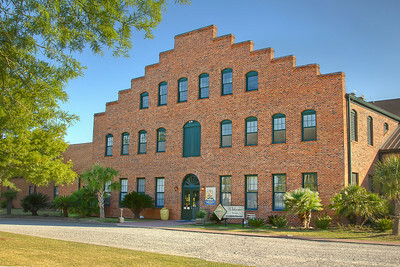 The wetlands are also critical to the Gulf Coast commercial fishing industry. Unfortunately, the marshlands are being destroyed at alarming rates by the intrusion of salt water caused by many factors including restrictions on the natural overflow from the Mississippi River and canals dredged in the area. Not too long ago, the marsh pictured above was a prime example of the destruction--it had been reduced to a mud flat, since salt water had killed its grasses. About twelve years ago Edmund learned of Smooth Cordgrass, or Spartina alterniflora, which has the remarkable ability to act as an environmental engineer. When he introduced the grass to our area, it proved its ability to regenerate marshland, as shown above. 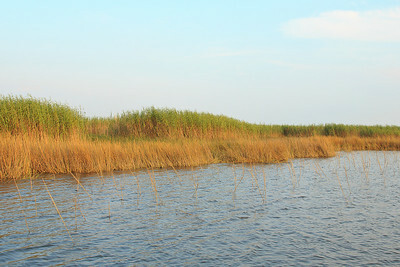 Smooth Cordgrass, which is salt resistant, is planted at the water's edge and out into the water, where it traps sediments, and over time extends the marshland. Less salt resistant grasses like the green Roseau Cane in this photo grow up behind it, and healthy marsh is reclaimed. Today students from Louisiana's 4H clubs across the state help plant Smooth Cordgrass every summer to continue reclaiming marshlands near Avery Island. This year's summer coastal restoration program restored 18 acres of marsh. 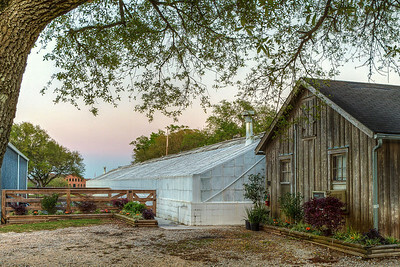 The greenhouse pictured above is where TABASCO plants are raised until mid-April, when they are planted in the pepper fields on Avery Island. 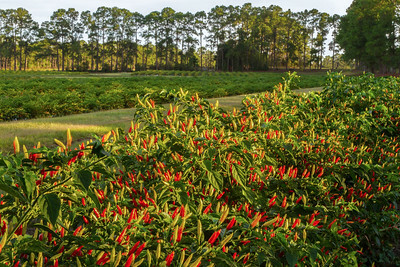 This pepper field on Avery Island has pine trees in the background, planted to serve as a windbreak and to hold the soil. 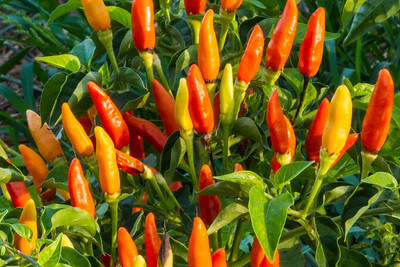 The proper name for these peppers is Capsicum frutescens, and they are used to make TABASCO Brand Pepper Sauce. 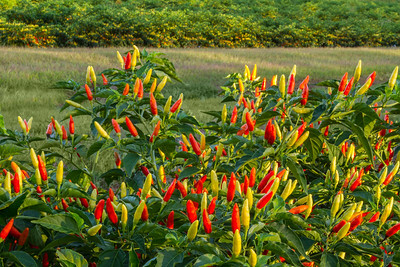 Please visit www.TABASCO.com for more information on these colorful, spicy peppers. 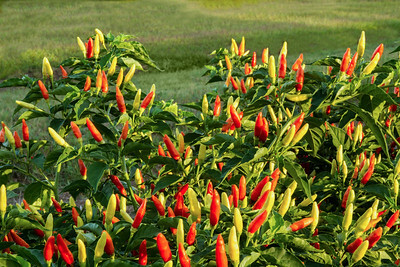 Capsicum frutescens--the peppers used to make TABASCO Brand Pepper Sauce. 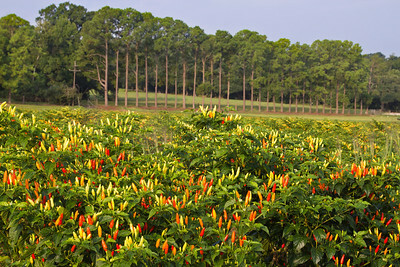 Another view of the Avery Island pepper fields. 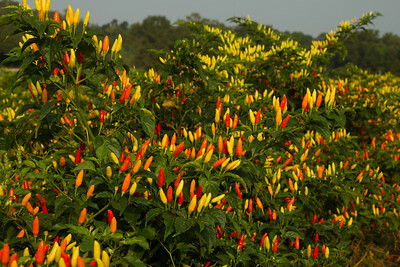 Capsicum frutescens, the peppers used to make TABASCO brand pepper sauce. 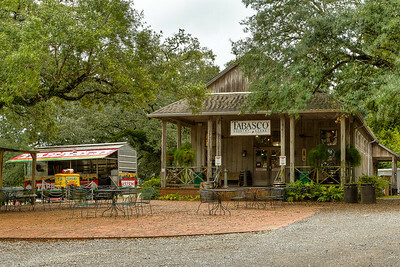 TABASCO Factory on Avery Island. 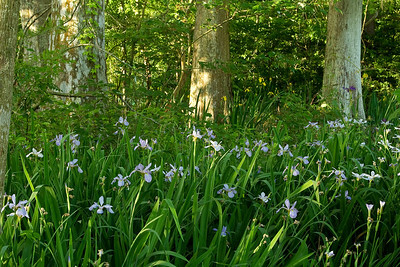 Blue Iris stand on a spring morning in Avery Island's Jungle Gardens. 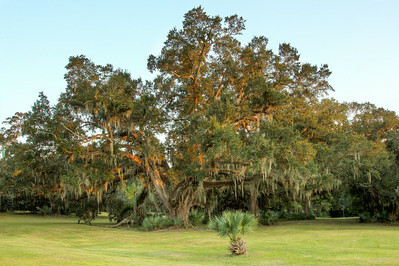 With Avery Island's abundant rainfall, the Southern Live Oaks grow tall and wide, with Spanish Moss draped branches touching the ground. 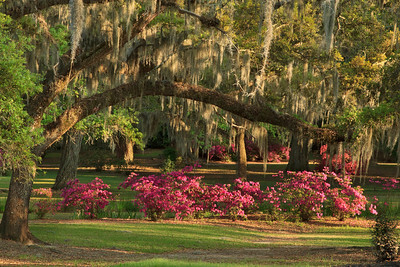 Southern Live Oak branches, covered with Resurrection Fern and draped with Spanish Moss, grow to the ground. 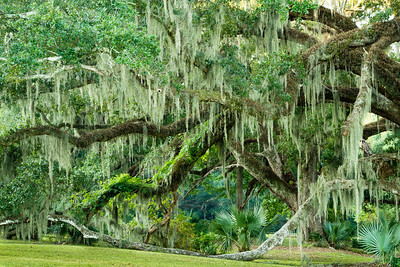 In the past, Spanish Moss was picked and used for mattress stuffing. 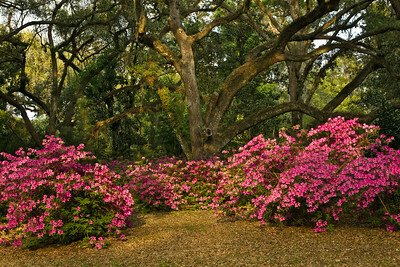 March morning sun lighting Spanish Moss and Azaleas blooming under the Live Oaks of Avery Island's Jungle Gardens. 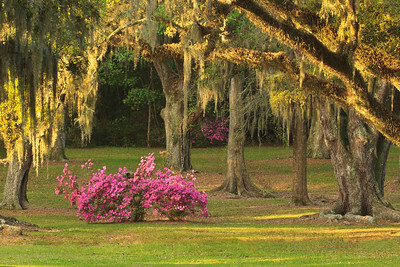 Late afternoon sun lighting Azaleas growing under a Spanish Moss-draped Southern Live Oak in Avery Island's Jungle Gardens. 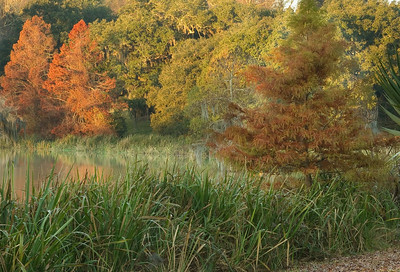 Avery Island's fall colors on display at sunrise. 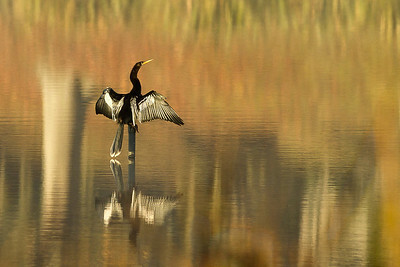 Unlike other waterfowl, the Anhinga has no oil in its feathers to repel water. Thus it can swim underwater in pursuit of the fish it feeds on. Since its feathers absorb water, the Anhinga must dry its wings in the sun before it can fly, as this one did on a chilly December morning. 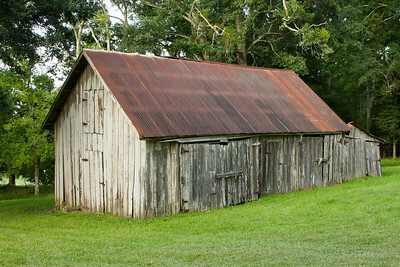 This small barn is the oldest structure on Avery Island, probably built in the late 1700's or early 1800's. It was built using pegs, rather than nails. 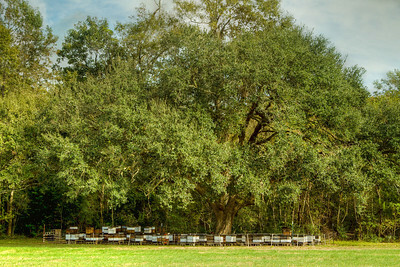 McIlhenny Farms Pure Natural Honey comes from bee hives flourishing under our Southern Live Oaks. The hives are surrounded by an electric fence to keep the Louisiana Black Bears from raiding them. 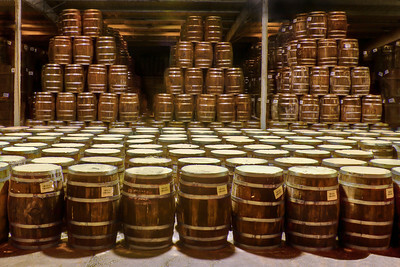 Like Winnie the Pooh, our bears love honey. 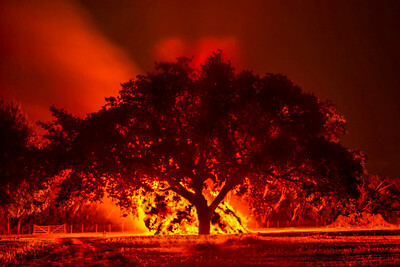 Southern Live Oak Lit up by Avery Island's traditional Halloween bonfire.